All Posts / Our Championships / Scott’s Back in the Scotties for B.C. 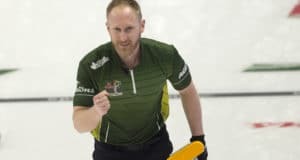 Scott’s Back in the Scotties for B.C. When the top teams in women’s curling hit the ice February 16-24 in Kingston for the 2013 Scotties Tournament of Hearts, fans will see a familiar smiling face wearing British Columbia colours. Kelly Scott, two-time Scotties winner and gold medallist at the 2007 World Women’s Curling Championship, earned another shot at national honours with a victory January 20 in the British Columbia playdowns. Scott won a fourth consecutive B.C. title, and her sixth in the past nine years, by defeating Patti Knezevic in the provincial final at the Cloverdale Curling Club. The two teams finished with 7-2 records in round-robin play and Scott came out on top in the 1 vs 2 Page playoff match. Knezevic knocked off Marla Mallet, finalist in the 2009 Scotties in Victoria, to earn another shot at this year’s top spot. 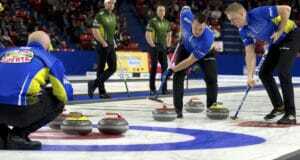 In the championship game, Scott ran Knezevic out of rocks in the tenth end to book the trip to the Scotties. She will be joined at the Canadian Women’s Curling Championship in Kingston by teammates Jeanna Schraeder, Sasha Carter and new lead Sarah Wazney. 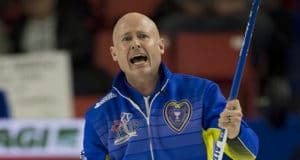 The Scott team is the fourth to qualify for his year’s Scotties, along with Team Canada skipped by Heather Nedohin, Kerry Galusha of the Northwest Territories/Yukon, and Stacie Devereaux representing Newfoundland and Labrador. 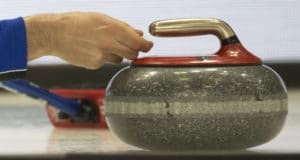 “You Gotta Be There” for the 2013 Scotties Tournament of Hearts when Canada’s best compete for one of the most coveted trophies in women’s curling. Excellent seats are still available in the K-Rock Centre – get yours today by clicking here.